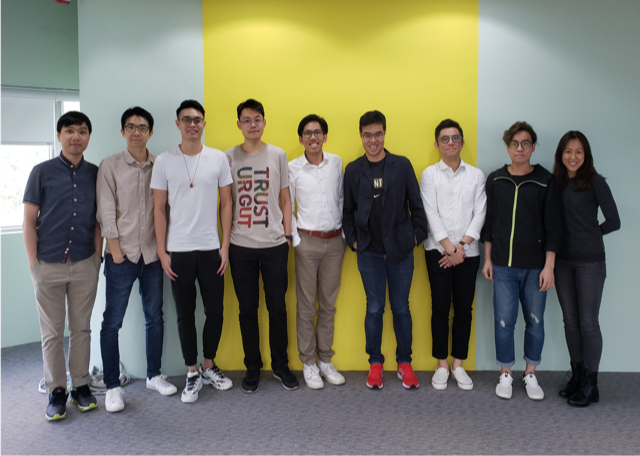 Doran Bae (first person on the right) has been part of the TVB New Media Group since 2017, where she has built and is leading a data science team. Her work focuses on optimizing TVB’s content promotional strategies via machine learning models. TVB New Media Group (TVB NMG) is the digital arm of Television Broadcasts Limited (TVB). The company designs, develops and manages OTT (Over-the-Top) platform, better known as my TV SUPER, and a social media platform, Big Big Channel, for TVB Group. We spoke to Doran ahead of her presentation at the Big Data & Machine Learning Leaders Summit Hong Kong 2018 to discuss how TVB uses AI to move into the digital world. When did your organisation start investigating AI / machine learning technology? TVB has been around for more than 50 years (last year being its 50th birthday) and has played an important role as the mainstream media in Hong Kong. In the wake of the digital era, TVB stepped into the digital world with the launching of my TV SUPER in 2016. Ever since, TVB NMG has been pushing the innovation frontier to create better services and attract new customers. Our data science team is in the heart of this transformation by using machine learning to serve our customers better and to cultivate data-driven workflow. How important will AI /machine learning be for your company moving forward? Do you see a place for AI in all businesses? We stand at an important moment in time, where big data technologies are profoundly influencing the way we understand our customers and how they interact with products. We believe it is now up to us to realize the potential of integrating data into our platforms. As of today, our team is responsible for serving customers - both in Hong Kong and globally - via our machine learning recommendation models. While we are proud of our progress, we know this is only the beginning. We see a huge potential of using data science technologies to play a bigger role across the organization: to empower management to make better decisions, help identify trends to stay competitive, and validate decisions. How can AI support a more personal experience for your customers? Our customers visit my TV SUPER to enjoy their favorite dramas or movies. Sometimes, they know what they want to watch, but other times, they like to browse to find something interesting. We have seen that customer engagement is greatly improved when we provide more relevant programs to their interest and needs. This is where data comes in to play. Using big data and technologies at our fingertips, it is becoming easier for us to customize each customer experience at scale. One of the examples is using an AI-powered recommendation model to predict what each customer would like to watch next. In the future, we hope to be at every intersection with our customer and improve the quality of their experience in using our products and services. Some people think AI will not last, whilst others feel this is this will be the biggest shift we have seen in tech. What are your thoughts? This is a question that cannot be answered in one or two sentences. What we can say is that AI will affect people's lives and so many things surrounding it. When it comes to work and the workplace, we try to focus on both the technology and the people behind it. We believe that for every mind-blowing AI model and innovative product, there is a team of humans to design the model, powering them alongside it. Doran Bae will be presenting at the Big Data & Machine Learning Leaders Summit in Hong Kong on December 6 & 7, 2018. Her talk, ‘TVB’s Big Data Journey – Data Science in Production’ will discuss the building process for a machine learning models, how they prepared their model for release and what happens after it’s applied in production.